Ready for fun, Blog-Buddies? Whew, I sure am. Rolling out all my workshops for 2014, my Year of Workshops — recently you have seen post after post at “Deeper Perception Made Practical,” going into practical details. When is the best time of year to prepare for new workshops? Not the new year, full of that “Go, go, go” energy? You know when. Prudently, I took advantage of December’s end-oF-year energy, which is more “Plan, plan, play” for amazing 2014. For more details, I’ll put the technical bits at the END of today’s article, including links to the main photograph used for today’s face reading. Scroll there if you want to know basics. Right now? I can’t wait any longer for the fun of reading this guy with the cleverly anti-website website. So true. There’s more to T.J. Miller’s unusual mouth characteristics than that, but what a great place to start this face reading. To see the face reading data, imagine a dot in the center of T.J. Miller’s mouth, then one on the right corner of his mouth. T.J. Miller’s version of mouth angle angles down. VERY much angles down. Meaning, in the system of Face Reading Secrets: In public, T.J. has sensitivity toward monitoring how others speak about him. For the comedian, of course, this would mean assessing how his audience relates to him. Having this sensitivity makes it easier to course-correct, or change nuances of prepared material. Potential challenge is having to overcome fear of being criticized. In the case of such a very steeply down-angled mouth, that is most likely an extreme fear of being criticized and heckled by his audience. I applaud T.J.’s courage, if he has not yet overcome that challenge. Already he is having an amazing career, so it could be that, if T.J. is having the extreme fears that I suspect he has, he is making precisely that work for him. Comedy as an extreme sport! Meaning, in the system of Face Reading Secrets: Extreme optimism, personally, about how his comments will be received. Every wisecrack, every morsel of sarcasm — personally T.J. Miller has great expectations. More confident than most, personally, that everything he says is a gem, which ought to be valued as such. Put that together with the extreme asymmetry on the other side of the performer’s mouth and oboy!…. The right side has an extreme down-angle, while the left side has an extremely-extremish extreme-up-angle. Uh-oh! Meaning, in the system of Face Reading Secrets: Communication is complicated for the young comedian. T.J. expects a warm reception from friends and fans, and probably has an ultra-high opinion of his words privately. Yet he fears cruel rejection from strangers. Good reason to respect T.J. Miller’s courage as a performer. Communication is complicated for him in many more ways, as shown by more unusual mouth characteristics. Let the physiognomy exercise proceed! To see the face reading data: If you’re viewing a sufficiently enlarged version of the photo (linked to at the bottom of today’s article, remember), you can make out two triangles at T.J. Miller’s upper lip. Sometimes this is called “Cupid’s Bows.” I have chosen a different term to use for the system of Face Reading Secrets(R). Speaking of which…. Meaning, in the system of Face Reading Secrets: A knack for giving voice to an entire group in collective consciousness. For a comedian, this would be his biggest audience, a natural way for T.J. Miller to set himself apart. Other members of his generation, or other demographic groups to which he belongs, or fellow sufferers of whatever he might find most anguishing in life — T.J. won’t just belong to that group. He can express on behalf of that group. A potential challenge? Not deep-down liking the group which he represents. Is that drawn-on lipliner or what? It is “what,” some all-natural face data, reflecting the soul. Same as any other physical face data only more unusual than most. Talented T.J. Miller has way more quirky face data than most. All of which helps him to stand out professionally. To see this face reading data: Notice the fleshy definition of T.J. Miller’s upper lip. Only that upper lip, not the lower lip. Meaning, in the system of Face Reading Secrets: Super-articulate, laser-focused language. But not about anything. T.J. Miller specializes in lambasting the inner, the subjective and personal side of life. Although I have yet to watch so much as a teensy YouTube, I would expect this to be where his wit really stings. And, given that previous lip attribute, T.J. Miller can call an entire group on an inner foible. This is no Rodney Dangerfield-style “I don’t get no respect.” I would expect T.J. Miller to find a way that an entire group of people feels they get no respect — and perhaps ways of disguising that feeling. To see the face reading data: Note the skin texture on T.J. Miller’s upper lip. Quite different from the smoother texture on his lower lip. The upper lip is unusual, regarding texture. Check out that quality! One of the benefits of much practice at reading faces? You can tell a great deal about the texture of any person’s mouth… without having to kiss the person. Very convenient! Meaning, in the system of Face Reading Secrets: Not only is T.J. Miller adept at speaking hidden truths, personal experiences and fears, for an entire cohort of peers. His uncommon sensitivity is dressed in a rough imitation of personal insensitivity. Don’t believe that for a moment. But do listen to the man. Whether or not you agree with his point of view, and regardless of whether or not he makes you laugh, this man has extreme verbal talent. Three cheers to ISABELLA for pointing him out. Probably I am not alone in never having heard of T.J. Miller. Now I’m so intrigued. 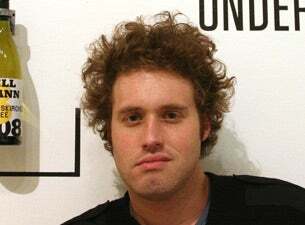 Here is a link to the photo used as a basis for face reading insights into comedian TJ Miller. You might wish to copy that onto a blank document and enlarge it. Then you will find it really easy to see the face data described in today’s face reading. The biggest face reading breakthrough in my work as a physiognomist was published this year, The NEW Power of Face Reading. Perfect for beginners, there are also sophisticated discoveries that you won’t find in any other face reading books yet, such as Facial Anchors and Major Compassion Awakeners. Thanks Rose and Isabella, so interesting, planning to watch video of TJ now and notice the facial features Rose has read for us. So fun!! Just looked at photo used for face reading, wow definitely quirky mouth! I was really thrilled to see this post up! I’ve become a big fan of TJ’s over the past few months, listening to every episode of his hilariously ridiculous podcast and pretty much everything of his that’s online. I’m going to see him live in February, really excited! I’ve heard TJ say that among comics, the thing that sets him apart is not his joke writing, but his ability to riff on the spot. I think he’s probably right about that. He’s said that his longer stand up sets are usually half (or more) improv, half prepared material. And another news one, because these brighten my day. Here he is in Kansas, acting ridiculous and flirting with the pretty news lady. My favorite line of this post was: “His uncommon sensitivity is dressed in a rough imitation of personal insensitivity.” Yeah! The last link I’ll share is to a short film he wrote and starred in called “Successful Alcoholics.” It obviously written by a sensitive person, but the character he wrote for himself is not so sensitive. Thanks Rose–very interesting reading. I had not heard of him either, before this reading. Isabella, I loved the brain surgery story clip, thanks for posting it. He is funny, and really charming/charismatic. And it’s true, the humor is not about specific jokes…it’s about the window he opens into his subjective reality. I can totally see the part about giving voice to an entire group in collective consciousness but maybe not deep down liking that group. My husband loves stand-up comedy, so I will probably see T.J. Miller sooner or later even if I don’t go looking for him. It’ll be interesting to see and hear him after this reading. So glad to read your comments here, MADELINE, KYLIE, KIRA, and of course ISABELLA who started this thread. For you, KIRA and everyone who knows comedy fans. Why not invite those friends who are fans to read this profile and respond? What an excellent way to introduce THEM to this blog. Undoubtedly, they will have such interesting feedback to write below in comments. I mentioned this post to my husband. I had told him about the blog previously, and he told me he read a few posts here and there. Don’t know if he’ll follow up with this one. He didn’t recognize T.J. Miller’s name. How has Pope Francis changed so far? A comparison Skilled Empath Merge.